PIES AND CHEESECAKE – all of our Thanksgiving cheesecakes and pies contain dairy and eggs. The pecan pie contains pecans and potentially trace amounts of other nuts. All of our baked goods are made in a bakery with flour, nuts, dairy and eggs present. TURKEY PREPARATION – Double Brook Farm Thanksgiving turkeys are fresh and do not require a brine. 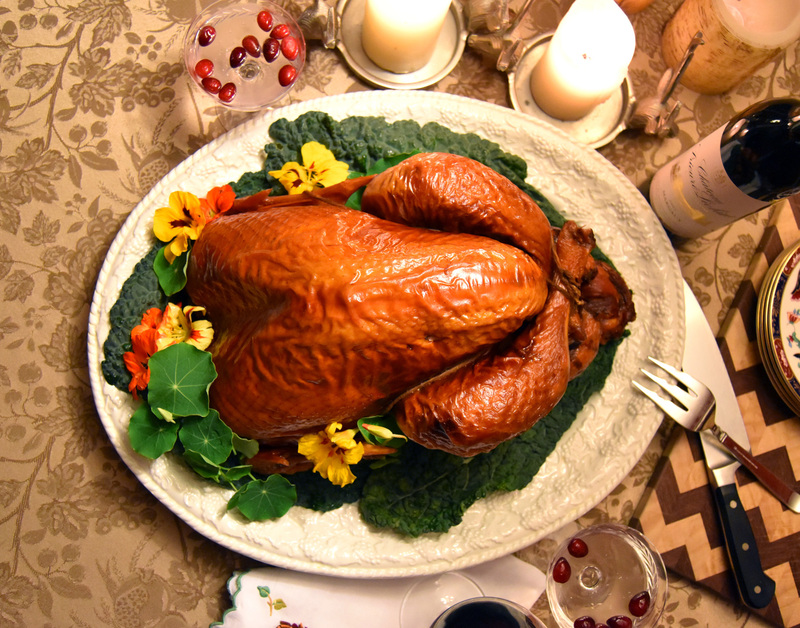 Should you choose to brine your turkey we recommend a dry brine vs a wet brine. TURKEY ROASTING – roast your turkey in a 325 degree oven until the lower thigh temperature is 165 degrees. If you stuff your turkey ensure your stuffing has reached 165 degrees as well. Allow the turkey to rest for 15 minutes prior to carving. Cooking times will depend on oven calibration, convection, stuffing, brining and entry temperature. a rule of thumb is 15-20 minutes per Pound. SMOKED TURKEY - Reheating Instructions - place turkey in a roasting pan, add 1 quart of chicken stock or water to the bottom of the pan, build a "tent" over the turkey with aluminum foil. Place in a preheated oven at 250 degrees and cook for 4 hours. Remove from the oven and serve. The juices from the bottom of the pan will make a great gravy! 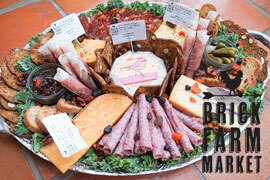 If you enjoyed your Thanksgiving Meal from Brick Farm Market – please be sure to tell us on Yelp, Google and Facebook. If any part of your Thanksgiving meal from Brick Farm Market did not meet your expectations, please let us know how we can improve by emailing Michael Franke at mfranke@brickfarmgroup.com. Feel free to Send us a note with any compliments, questions or concerns. - Thank You and Happy Thanksgiving!